Rating an NBA player's defense is a tough call. Steals and blocks come into play, but they don't tell nearly the whole story. If Defensive Disruption could be rated numerically, Marcus Smart would be on the All-Defensive team every season. Same deal with muscling-the-ball-our-of-opponents-hands. I have no recollection of another player doing this as often as Marcus. Face-to-face he just takes the ball away. Smart also has another maneuver where he puts his arm through the small space created by the opponent's crooked arm and body to get his hand on the ball. I worry every time he will pick up a serious shoulder or elbow injury. Always causing havoc, always making the stop when we need it most. How many players at or under 6'4" can legitimately claim to be able to guard 3 positions on the floor during clutch? Not many. Perhaps Marcus Smart is the only one who really does the job on such a regular basis. 'Cobra' displays the kind of hustle, determination and defensive focus that reminds fans of old-school basketball of a certain 5-time NBA champion Dennis Rodman. With his athleticism, ability to read plays and deflect passes and block passing lanes, as well as his sturdy 102 kg frame, Smart regularly takes up the small forward assignment when Brad Stevens puts him on the floor alongside Kyrie Irving and Rozier in the 2nd and 3rd quarters. 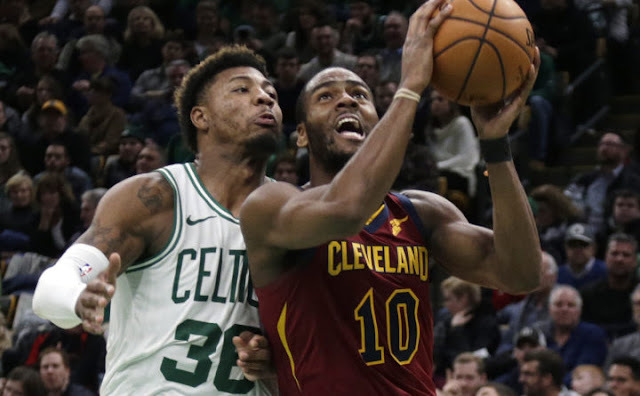 Marcus 'Mahcus Smaht' Smart is the heart and soul of the Celtics, and he plays with a passion and a fire that sets the tone for the rest of the team to buy into playing defense. The Cs are once again a top defensive team in the league, ranking among the top 5 in all nba team defensive stats. He leads the ESPN's DRPM chart for point guards by an absurd 47% margin. The Celtics Al Horford made the All-Defensive Second Team in 2018, and Avery Bradley made First Team in 2016. Marcus Smart has never made the team. He should not be ignored again this season. The above quote, "...he plays with a passion and fire that sets the tone for the rest of the team to buy into playing defense", tells it all.